Paul Cerula is a sales and marketing business leader, widely recognized for developing and implementing visionary strategic plans while cultivating cross-discipline, top-performing teams that span the globe. As a senior level executive, he serves as a catalyst for positive change and growth. He offers a rare breadth and depth of experience, embodying all of the essential executive and entrepreneurial traits that generate widespread success—from business start-ups, organizational planning, acquisition integration, global negotiations to corporate branding and dynamic public speaking. As 35-year hospitality sales and marketing executive with Marriott International, Paul gained deep experience opening over 300 international hotels. His career spanned all corners of the world having spent the first half of his career in Marriott’s North American Lodging Organization and the latter half of his career in Marriott’s International Lodging Organization, living and working abroad. He was selected to develop and implement Marriott’s comprehensive Global Sales Long Range Strategic Plan and had offices in London, Frankfurt, Dubai and Hong Kong, as well as corporate headquarters in Bethesda, MD. His focus was on building and strengthening Marriott’s global sales and marketing infrastructure to support the company’s unprecedented growth on all international continents. Paul oversaw Marriott’s global sales organization in all markets outside of North America: Asia Pacific, Caribbean/Latin America, Continental Europe, United Kingdom/Ireland, and the Middle East/Africa. 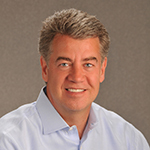 Upon retirement from Marriott, Paul was selected to join the start-up team of The Corporation for Travel Promotion as the Chief Business Development Officer. The Corporation for Travel Promotion (renamed Brand USA) was created by the US Congress and signed into law by President Obama. Operating as the USA’s first National Tourism Marketing organization, Brand USA is a not-for-profit, public/private partnership. The mission is to grow and expand global travel into the US to re-capture lost market share, creating economic stimulus and job growth. As Chief Business Development Officer, Paul had oversight of private sector partnerships/funding, establishing a global representation infrastructure and government/industry strategic outreach. His organization worked closely with Departments of Commerce, Labor, Treasury, State and Homeland Security at the Federal level and with the travel and tourism industry in the private sector. His Partnership Development team, targeting national and international marketing partnerships, initiated and created private sector funding with over 300 corporations and organizations which exceeded the initial year target of $200M in private and public sector funding. In partnership with the Chief Marketing Officer, they created and launched the first USA global brand marketing campaign, integrating broadcast, print and out-of-home advertising, public relations, website creation and social campaigns. Additionally, he developed and launched a plan to open over 25 international representation offices that will represent the USA in over 50 countries.